The weather on 20. September was quite hazy in munich, so that it was difficult to follow the crescent towards the horizon. 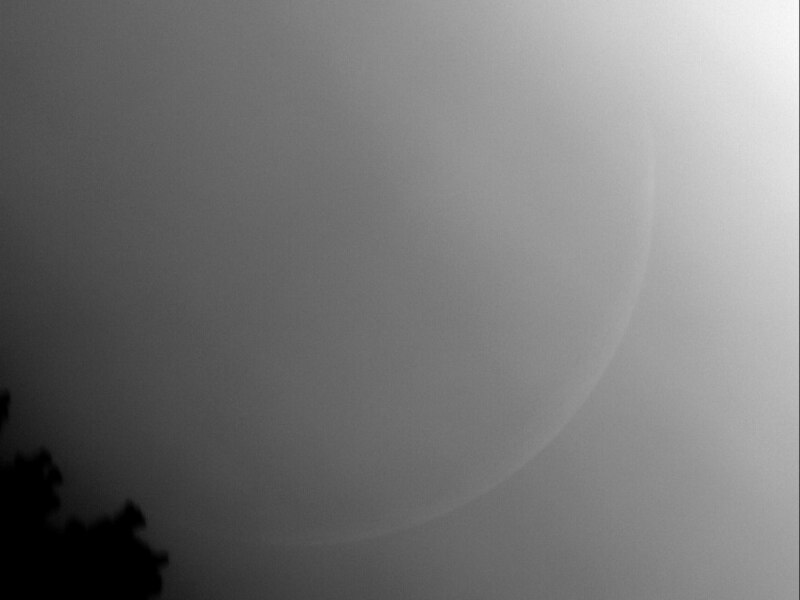 The crescent vanished in the trees some 30 minutes before sunset. 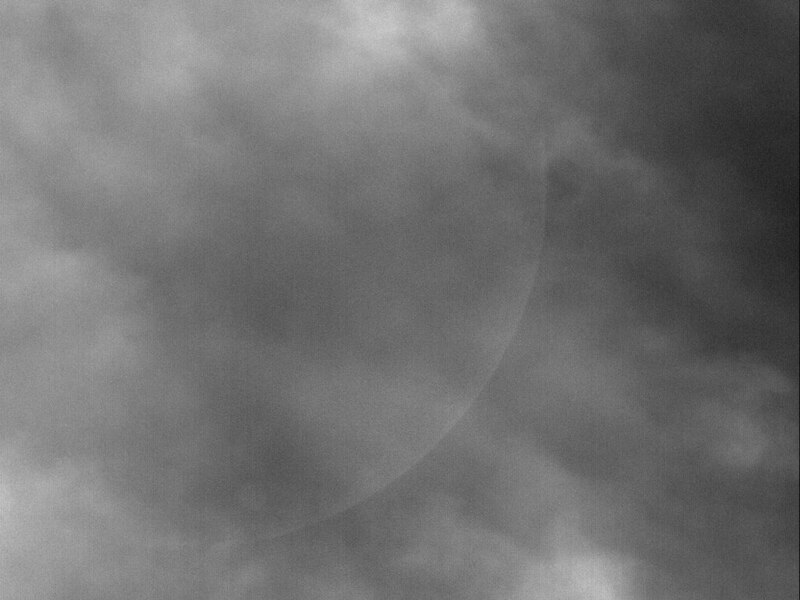 Only with digital contrast enhancement was it at all possible to see it through the haze.